Don’t wait! 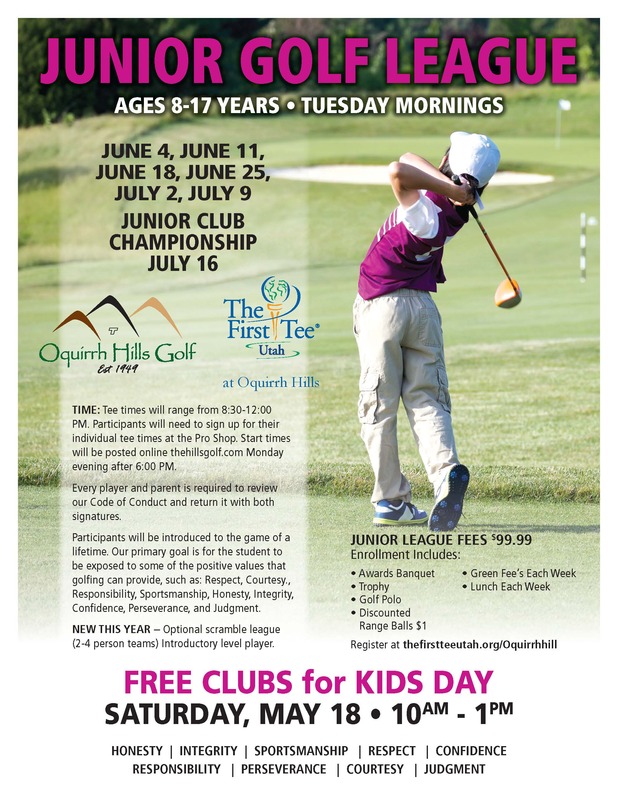 Register your golfer at Thefirstteeutah.org/Oquirrhhills, then don’t miss Free Clubs for Kids Day on May 18, 2019! 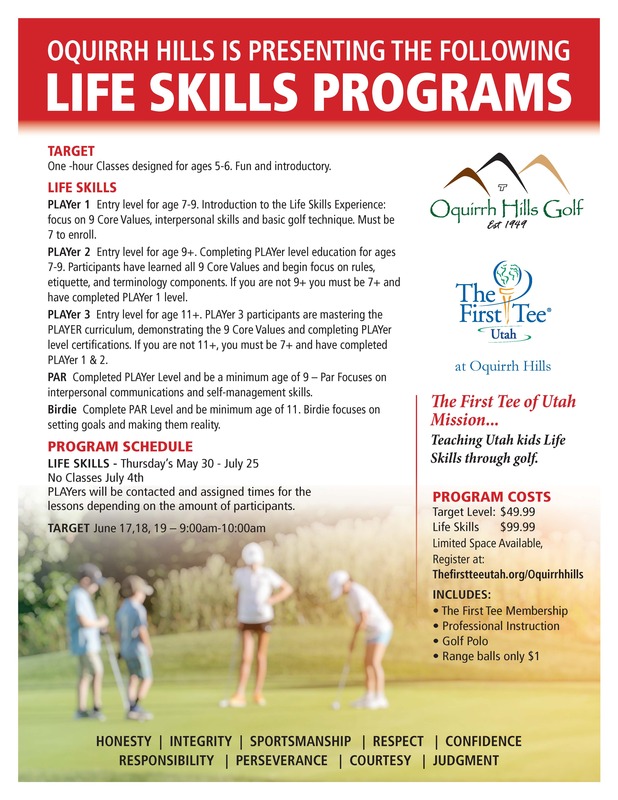 For more information, contact the staff at Oquirrh Hills Golf Course at 435-882-4220. 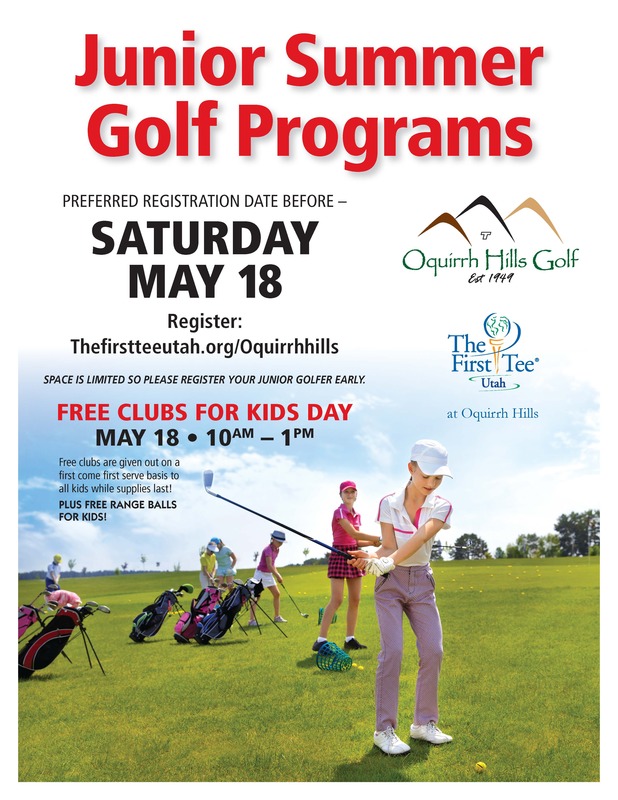 Oquirrh Hills Golf Course is located at 1255 East Vine Street, Tooele.